UFC lightweight champion Conor McGregor has been the focus of a number of rumors this week. 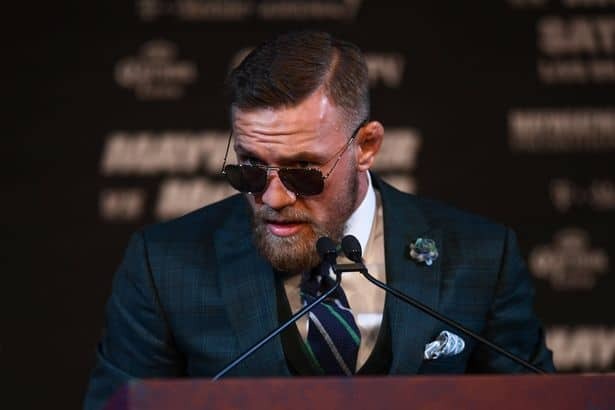 While the MMA world waits for an update on his fighting future, the UFC has released a statement on Friday confirming information that will not go down well with a lot of fans of the sport. It has been over 14 months since we have seen Conor McGregor inside the Octagon. UFC 205 in November 2016, to be precise, where the mercurial Irishman entered the record books as the first UFC fighter to hold two titles in separate weight classes at the same time. Having knocked out Brazilian legend Jose Aldo at UFC 194 in just 13 seconds to capture the UFC featherweight title, McGregor then pulverized Eddie Alvarez to add the promotion’s lightweight crown to his resume. “Conor has said that he’s thinking about coming back in September,” UFC President Dana White said recently. “If he comes back in September, that’s almost two years — that can’t happen. It’s not fair to everybody else. White alluded to the possibility of interim champion Tony Ferguson fighting outstanding candidate Khabib Nurmagomedov for the light-heavyweight championship. In order for this fight to happen with the undisputed title on the line, Conor McGregor would have to be stripped of his title. Promising, to those who argue that the 29-year-old should have no right to the title given his lack of activity and proposed reluctance in defending his title. However, as usually is with the UFC, there is a twist in the tale. 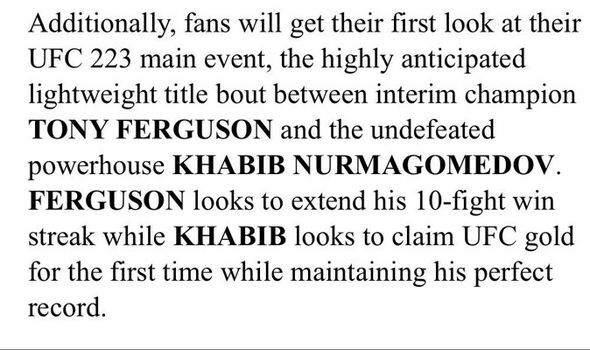 Well the UFC just announced a press conference this Friday with Tony Ferguson and Khabib Nurmagomedov, and in the process announced that the INTERIM champ will defend his interim belt at #UFC223 in Brooklym. “Well the UFC just announced a press conference this Friday with Tony Ferguson and Khabib Nurmagomedov, and in the process announced that the INTERIM champ will defend his interim belt at #UFC223 in [sic] Brooklym,” wrote Mike Dyce. “They clearly refer to Tony Ferguson as interim champ and don’t make mention of McGregor,” he responded to a later Tweet.